ANY AND ALL FUNCTIONS MUST CONCLUDE ITS ACTIVITIES BY 11:00 P.M.
** PAYMENT: Full Payment is due (2) weeks prior to the scheduled event, except for the security deposit which is due at the signing of the contract. Contact Lisa @ 302-422-7500 (Monday-Thursday)(8:30-4:30) for appointment. ** SECURITY DEPOSIT: will be refunded when both the Building and Grounds Manager or the Hall Rental Administrator and the “Lessee” are satisfied. You will be entitled to your security deposit 2 – 3 working days after the event ends. Security deposit will be forfeited or non-refunded if you want the “Company” to clean up after your event. This provision must be agreed upon before your event. Restrooms and outside the building. to ensure that no one under the age of 21 years old is being served. anyone leaving the premises under the influence of alcohol. cash or tickets for drinks at the bar. Only open bar is permitted. is given allowing setup the night before the event by the Building/Grounds Manager. 9. Removal of company property is prohibited. No tables or chairs are to leave the building. “Lessee” that exceeds the security deposit. into the building by the “Lessee” and/or their guest. 12. The Ellendale Volunteer Fire Company shall not be held liable for injuries to person(s). occupancy of the company’s property. 13. Children must be supervised by an adult at all times. must be sent to Ellendale Volunteer Fire Company prior to the party/event. permitted in the game room or engine bay where the trucks are parked or parking lot. OF THE BUILDING. Handicap parking by permit only. Volunteer Fire Company will be on hand the entire time of the party/event. 18. 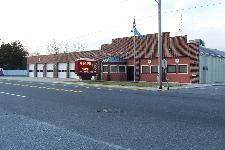 Security cameras are in use at the Ellendale Volunteer Fire Company at all times. 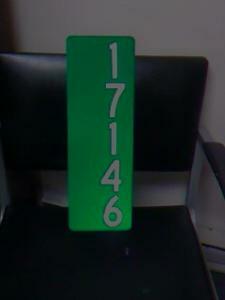 911 Addressing Signs Now Available for Purchase! Two convenient ways to order!